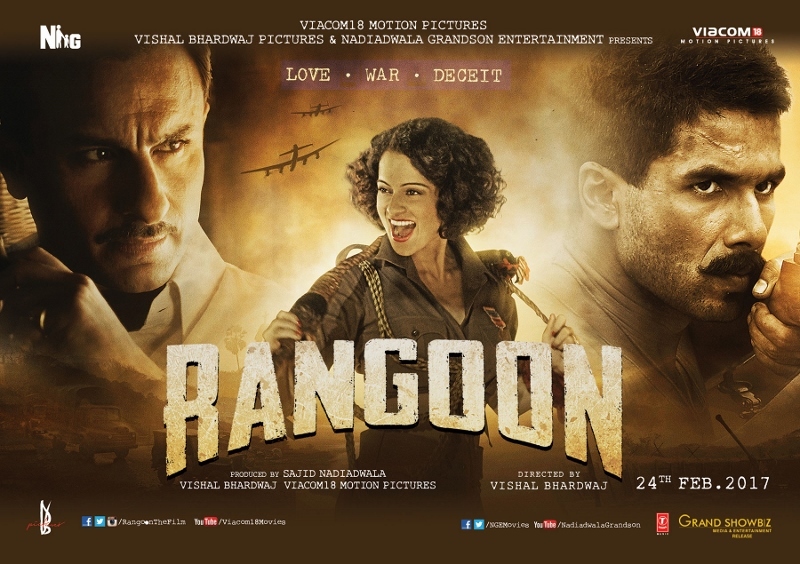 “Rangoon” is an epic love story, taking a beautiful film star from the film sets of 1944 Bollywood to the jungles of the India-Burma border, where she must entertain the English and Indian troops. In the midst of battles and betrayals, Julia (Kangana Ranaut) falls in love with a young Indian soldier Nawab (Shahid Kapoor), and learns some bitter truths about the dream of Indian independence. Battle lines are drawn when her mentor and lover Rusi (Saif Ali Khan) learns of the torrid love affair.